Trying my hand at the Traditional Irish Ringboard. 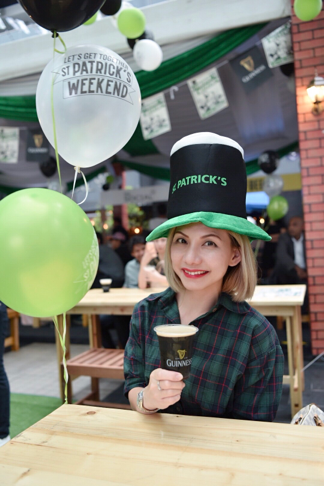 The St. Patrick's Weekend celebration offers plenty of entertainment with live performances, exciting games and activities, tasty authentic Irish food plus a host of other experiences. 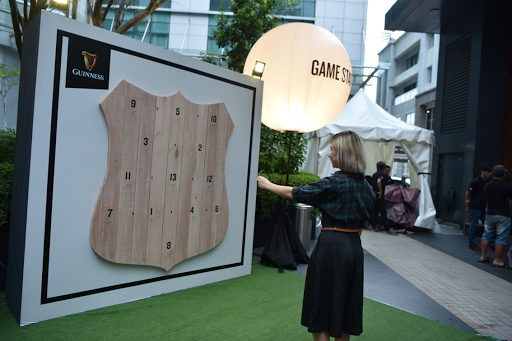 That's not all, the first 100 lucky drinkers also get to enjoy a FREE Guiness each day throughout the celebration. The centre stage was also filled with great local acts such as Fazz, KissKillMary and Beauty & the Beast, playing a mixture of their own original music and covers of famous Irish songs. The highlight of the event was the national qualifier for the World Oyster Shucking championship, held every year in Galway, Ireland which was held in conjunction with Southern Rock Seafood. The participants were challenged to open (or 'shuck') as many oysters as possible within a certain time frame. 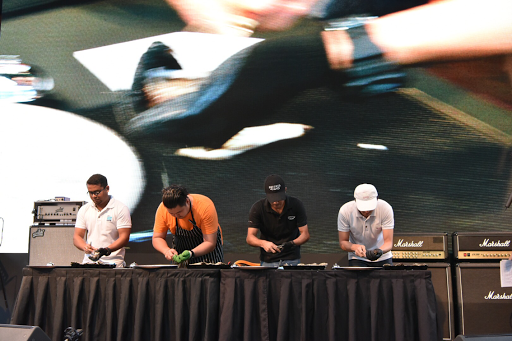 The fastest shucker will get the chance to represent Malaysia at the world championship later this year. 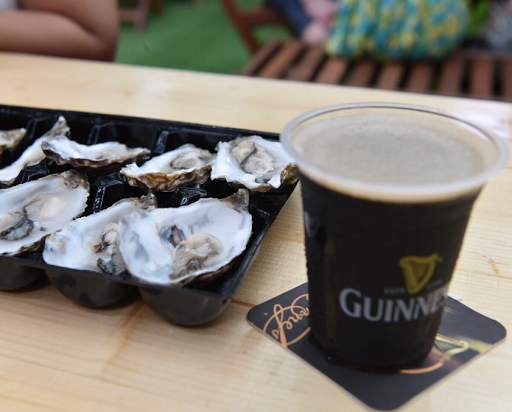 Oysters, which have a long association with Guiness, best paired together as a traditional Irish treat were also available at a special price. 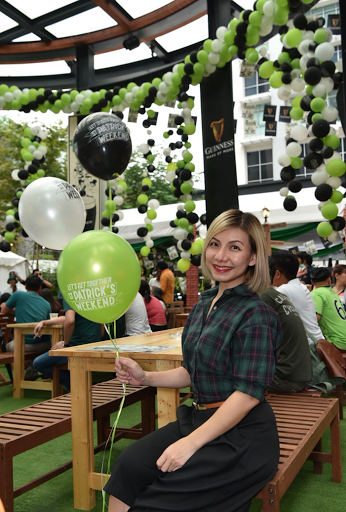 The main event at Publika was held simultaneously with satellite events all across the country on St. Patrick's Day itself, Friday 17th March, in Ipoh, Penang, Johor Bahru, Miri, Kuching and Kota Kinabalu, spreading the cheer nationwide. 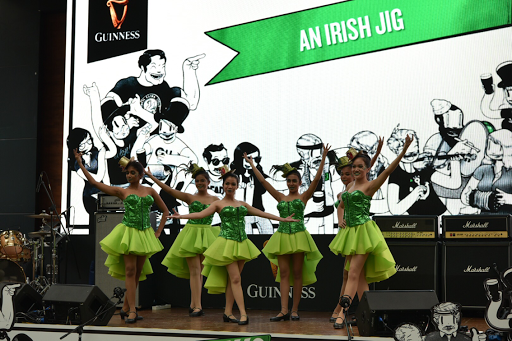 This also coincided with events held in Dublin, New York, Sydney and other cities across the world, bringing hundreds of thousands of people together to lift a glass of GUINNESS in the air and embrace their honorary Irishness. One lucky Grab customer, Kelvin Balloo who had taken the most trips with Grab, scored himself an all-expenses paid trip for two to Dublin, Ireland, courtesy of Guiness. The contest, which ran from 20th February, saw Grab users rack up points for booking rides with the special promo code 'IRELAND'.